Showing results for tags 'west yorkshire police'. Hey all, So West Yorkshire Police have announced that they will be hosting their new recruitment for Police Officers from 11th September to the 23rd September, is anyone thinking of applying? Hi Guys, I'll try and keep this short and concise; I've been a special with WYP for around 4 months, however I'd also applied to Universities this year, and didn't get into my first choice (which is in West Yorkshire). On to the point, I got accepted into a Uni at Leicester, and as part of the uni-course they like you to become a special. 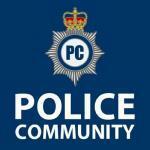 Seeing as I am already one, what would the process for transferring from WYP to Leicestershire Police be like? I didn't ask this in the Leicestershire forum as it seems a bit dead, and this is more of a general question as Leicestershire don't seem to have any information at all on their website concerning transfers (please correct me If I'm wrong!). I'm not IPS, and I haven't done a great deal of competencies toward it, however as I said I have been attested 3-4 months now, so it's not like I'm still in training. I realise WYP probably aren't going to be too happy about me leaving so soon, but life just does this sometimes! Apologies for rambling, I've actually just come off a late shift so a little tired, my main question is-- how complicated would a transfer be, is it even possible at my stage, and would I need an interview etc again (even though I literally just came off training not so long ago). I understand I'll probably have to do some training, but I'm not so much looking at the finer details just how difficult the whole process might be, or whether it would be easier for me to 're-join'? If that's even possible, seems a bit odd attesting twice but there you go! Appreciate any help or guidance.